"What an incredible musical! We just finished performing 3 shows with 150 K-6 students and it was a great success. We created 45 major roles for our seniors (Y5&Y6) and then each class (K-4) at our school performed 3 songs, in addition to the Olivia (Finale). This is the second time we have purchased from Musicline and we are even more impressed than we were with our first purchase (Robin and the Sherwood Hoodies). Thanks Musicline and Malcolm Sircom!" "We just loved this show. As a music teacher i was wanting well written songs that were achievable yet with some challenge for my Year 5 and 6 students. The harmonies were great. All the songs are catchy on first listening. Now, how will i ever find another musical to equal this for next time." "Such a wonderful show! Olivia! was chosen as our school's inaugural musical, and it was the perfect choice! Our cast and chorus gave an incredible performance, enhanced by the witty script and toe-tapping tunes which had the audience enthralled from beginning to end. There may even have been a tear or two shed! This show gave our girls an experience they will never forget- for some it was their first taste of the stage, and for many it will not be their last! We thoroughly enjoyed the entire process from casting to performance and will always fondly remember Olivia!" "LOVED putting on this show!! The songs are still in my head weeks after doing it! The girls absolutely loved performing it and there were plenty of meaty parts and opportunities for singing for those who wanted to. A really great addition to the Musicline catalogue. Highly recommend." 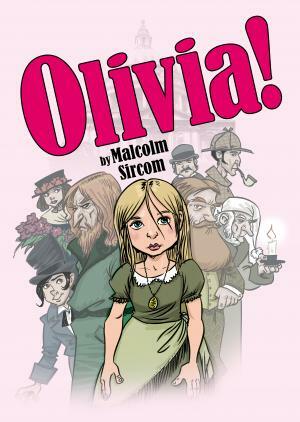 "A fantastic production - a clever sequel to Oliver! - lovely script with genuine comic aspects and some great catchy tunes, lending themselves so well to chorus and solo numbers. We had an absolute ball with this one - the best ever and enjoyed by children and parents alike!" "I absolutely love this play, we're performing soon! Thank you for such a witty script and jolly songs! I think my favourite line is 'I'm gonna give my old man a helpin' hand - wiv my rolling pin!' said by Queenie. Thank you Malcolm Sircom!"